Today is the 100th anniversary of Josef Gärtz, my paternal grandfather, arriving in America, losing the umlaut over the "ä" and becoming Gartz. My guess is that he didn’t record his first impressions because he was too excited and overwhelmed upon landing to be scribbling in his diary. 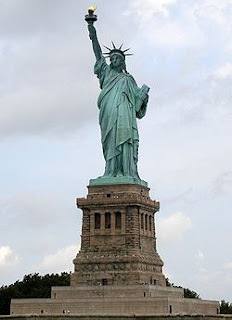 So without his words to guide me, I’m going to try to briefly reconstruct what he, and all of our European ancestors who entered through Ellis Island, probably endured as initiation into this new land. Let’s join Josef as he disembarks from his ship, Friedrich der Grosse on January 11, 1911, and get just a little flavor of our ancestors’ arrivals. 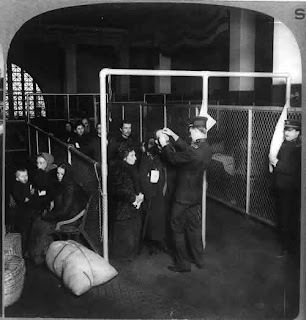 After passing the Statue of Liberty in New York Harbor, steerage passengers (undoubtedly how Josef traveled--the cheapest) are loaded onto barges, transferring them to Ellis Island, where they will undergo a number of inspections before being admitted to the United States. 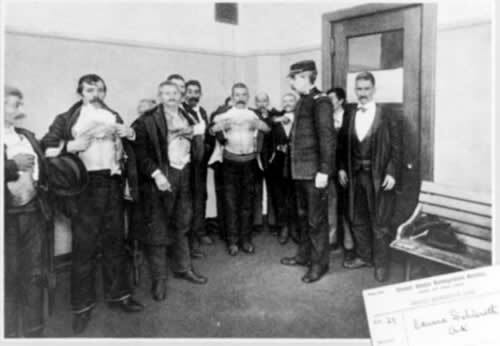 "Doctor's inspection of suspects for skin diseases, etc." After all the health inspections, inoculations, and eye examinations, Josef has already endured before arriving in America, he, and everyone else, is once again subjected to prodding, peering, and poking, and all are further questioned as to their ability to support themselves. Failing these tests ends the dream. Next stop: Cleveland, Ohio, where a “Landsman” (another Siebenbürgen/Transylvanian German, from his home town of Neppendorf) will welcome him into his home, help him get on his feet, and teach him the ropes. In the near future, I’ll be posting some of the missives that went back and forth between Cleveland and Romania, and how Josef pulled out all the stops to get his Lisi to join him. But before we get to those letters and postcards, I want to get back to what I promised to write about in my last post: how I got my German mojo back which allowed me to tackle these letters that allow us to peer into the minds of two young immigrants a century ago. 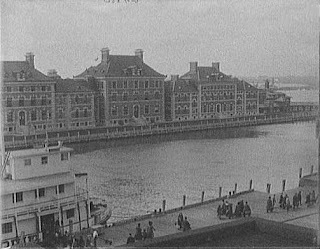 Note, except where noted othewise, the Ellis Island facts and photos included here come from this site: Gjenvik-Gjønvik Archives. The site provides footnotes at the end of its pages. Hi Linda. Thanks for your comments on my Circlemending blog. I lived awhile over a store on Central in Evanston...a few years before hogeye music opened. Good thing or I'd never have had money to move to CA. Love your post here. Idea: some emotions may not have been recorded because of some of the horrors and improprieties on the ships. Recording some of those things, which may have overshadowed the joy initially, resulting in a reduction in diary entries or details in letters. Just a thought. Very nicely put together article, Linda. The photos really say more than words can in this instance. Thanks for sharing! Thanks, Jasia. I love using photos when I can. We've become a visual-based society. Jean, Thanks for your thoughts on the lack of recording in his diary. He wrote quite a bit about the rough sea voyage (if you have a chance, go back to the posts between 12/24- first week of January), including how seasick everyone became in the winter storms. But your thoughts are certainly possible as well. I just think he was ready to get on with his new life and the diary became secondary to finding his way in a foreign land. Who knows! I appreciate your thinking on the issue. 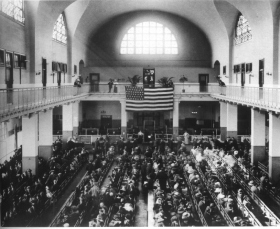 My great grandfather, John Peter Bowden Roberts, kept a journal of his emmigration from England to America, and I, too, was disappointed that when he finally arrived at Ellis Island his diary stopped! He wrote nothing about the part I wanted to hear the most. I suppose, like you thought, that he was too busy and excited once he finally arrived to stop and write. It was one of my first blog posts, too! Actually, it was the very second post I ever wrote over a year and a half ago! You're entry on the health checks at Ellis Island are interesting. I read that families who traveled first class were not subjected to health checks and those who traveled in difficult economic circumstances had a difficult time and split up when a sick family member was rejected and sent back to their country of origin. I had read something similar -- about the wealthier families not being subjected to all the health checks. More to come on this very issue. Not requiring a medical certificate could be because the wealthier passengers would have had a health check prior to departure. Even today, when one applies for permanent residence in the US, one must provide a medical certificate covering contagious deseases. The less than wealthy would have the examinations after landing. This may have been the case. My mother, who emigrated from Hamburg with her parents in 1926, told the tale of how she was coughing at Ellis Island. Her mother told her "Don't cough they will send us back." Ellis Island was the final hurdle for many on a harrowing journey. To be turned back there would have to be heartbreaking. 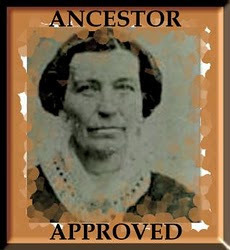 Something like that happened to one member of Lisi's family -- coming up in a future post.